* Kate Bagnall, ‘That famous fighting family‘, Inside History, issue 9, March–April 2012, pp. 37–40. The next event from the Chinese Australian Historical Society is a talk from Alistair Kennedy, BA (Hons) MA Dip Ch (HK), MBE from the School of History, ANU. Where: Sydney Mechanics School of Arts, 280 Pitt Street, Sydney (near Bathurst Street). This paper represents work in progress on Alistair’s PhD thesis. It examines how the experience of war service in the First Australian Imperial Force (1st AIF) affected the lives of Chinese-Australians. It covers the consequences of the 1901 Immigration Restriction Act, the Dictation Test and the white working class exclusion discrimination on Chinese workers. The Chinese-Australian population fell rapidly from more than 88,000 in the 1880s to 25,000 at the 1911 census. In 1914, there were fewer than 2,000 Chinese-Australian males of military age with British citizenship and, of these, the racially intolerant Defence Acts excluded many who could not prove they were of ‘substantially European origin or descent’. 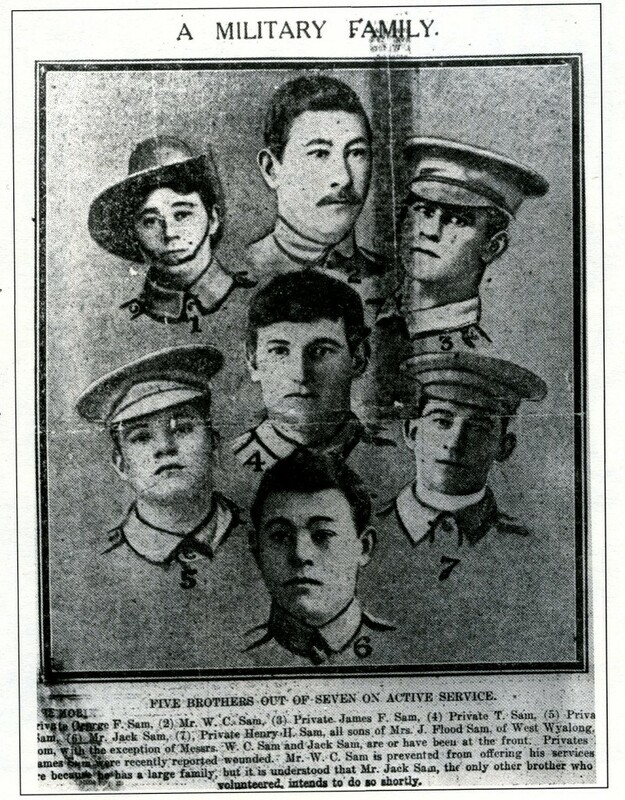 Yet many of these Chinese-Australians did enlist. Apart from the indigenous peoples, Australian social historians have seldom examined White Australia’s treatment of ethnic minorities between the wars. This paper argues that for one such minority, Chinese-Australians, the experience of military service in World War 1 was a positive one. Bookings: Anna Lee, Treasurer. Pay at the door. Canadian journalist Tom Hawthorn has written an interesting tribute to John Ko Bong, a native of Victoria, British Columbia and World War II veteran in the Canadian armed forces. Read John Ko Bong, commando (1912–2008) on Tom Hawthorn’s blog. The story of Chinese Australian Victor Lepp of Ballarat (mentioned briefly in the previous post) will be featured in Not Forgotten, a documentary to be shown on SBS TV at 8.30pm on Remembrance Day, 11 November 2008. Read more in the Courier.